Tea, as we know it, is made by steeping the leaves and leaf buds of various cultivars of the Camellia sinensis plant. 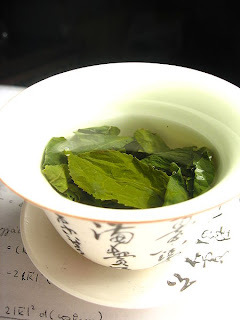 From this there are at least six varieties: white, yellow, green, oolong, black and fermented. The term "tea" is also loosely used to refer to "herbal teas", which are an infusion of leaves, flowers, fruit, herbs, or other plant material that contains no Camellia sinensis. In Nova Scotia we have a wealth of alternate "tea" sources available. What you read below has been gathered from the inter-web, and I make no claims to the veracity of the medicinal benefits cited. At the very least they would be interesting taste sensations to try. Ensure material that you gather to use in any cooking is well cleaned and harvested from a non-polluted site. 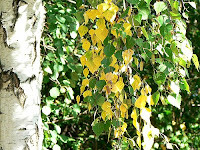 Teas of birch bark (black, yellow and white) contain salicylate, the compound in aspirin that relieves inflammation and pain associated with osteoarthritis, rheumatoid arthritis, or gout. 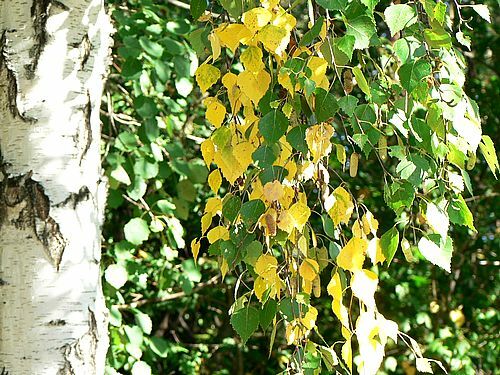 The antibacterial and anti-inflammatory actions of birch bark support its traditional uses in skin disorders such as eczema, urinary tract infections and water retention. A tablespoon of fresh grated ginger helps to activate the properties of the birch, and adds a hot, sweet flavor that makes this tea a pleasure to drink. To make tea, use 2 parts clean birch bark with 1 part ginger and steep as usual. Sweeten with honey to taste. Gaultheria procumbens (Eastern Teaberry, Checkerberry, Boxberry, or American Wintergreen) is a species of Gaultheria native to northeastern North America from Newfoundland west to southeastern Manitoba, and south to Alabama. Dried leaves can be used year round. 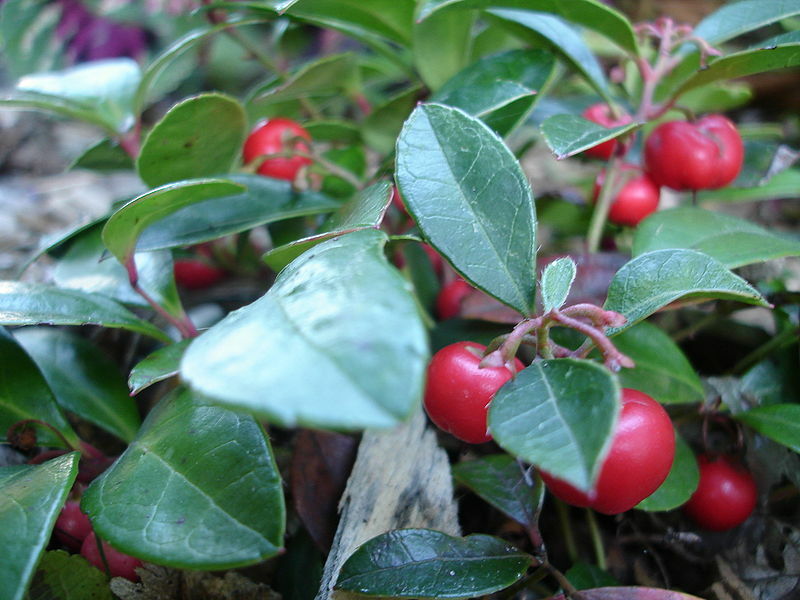 Native Americans brewed the leaves to lessen rheumatism, headache, fever, sore throat and other aches and pains. Cold, it was also used as a mouthwash. 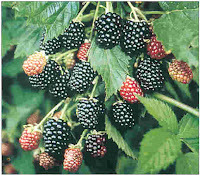 Blackberry brambles and raspberries (of the family Rubus) are common throughout Nova Scotia. The fruit is not a true berry but is an aggregate fruit, composed of many small fruits to form each "berry". The plants, although a perennial root, have biennial canes, which means the fruit is borne on the canes that are formed the previous year. Use the leaves of either, fresh or dried, to steep. Containing polyphenol antioxidants, it supposedly helps control diarrhea, has benefits as a blood purifier and a tonic. Use all year round. 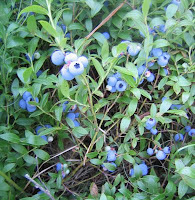 Blueberries contain powerful antioxidant properties and the leaves are perhaps best known as both a cancer fighter and as being beneficial to diabetics. Steep dried leaves, let cool and drink as a blood purifier and tonic. They also supposedly have benefits for inflamed kidneys and help increase the flow of urine. Blueberry leaf tea is somewhat bitter. Since the leaves are dried, use all year round. Strawberry leaves contain many trace minerals, iron in abundance as well as one of the highest naturally occurring sources of vitamin C. That alone should be more than enough reason to drink strawberry leaf tea. Dry leaves and use normally. If using fresh, pour several cups of boiling water over a handful of leaves in the evening. Cover and let steep overnight. Strain and reheat in the morning. 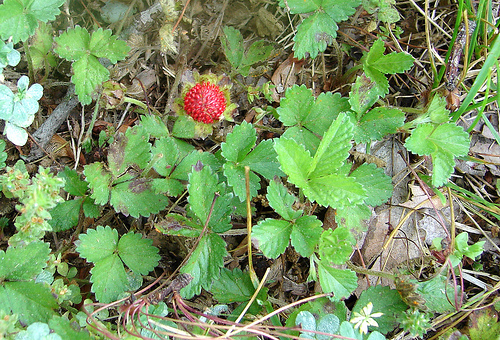 Wild strawberry leaf tea is believed to help with a multitude of things, from stomach troubles, eczema, diarrhea, etc. According to experts, it is much more healthful than purchased coffee or teas. Use all year round. Wild roses are plentiful in Nova Scotia. They are easy to identify by their five petals, and the distinctive round red hips that form after the roses have been pollinated. 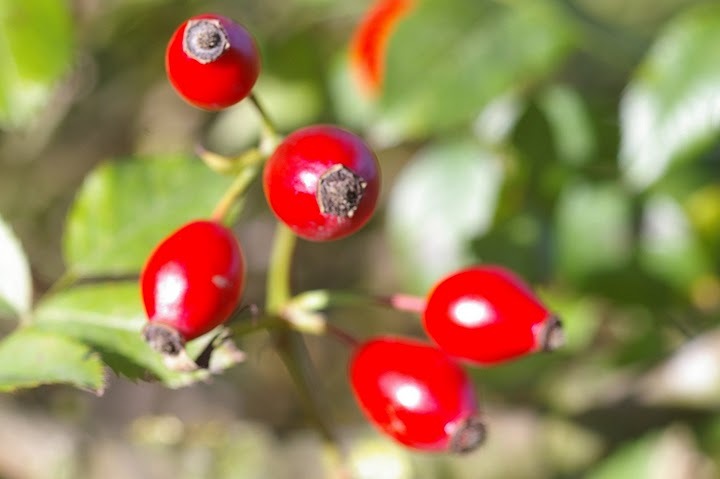 Rose hips have a high Vitamin C content. Hips can be used dried or fresh. Try 1/4 to 1/2 cup hips steeped for 10 minutes, then strained. Instead of boiling, you can also steep in cool water overnight, then strain and heat in the morning. They also are supposed to help with Colds, flu, and sore throats. Often associated with hay fever, Goldenrod (species Solidago) is a plant that produces bright yellow flowers, and is native to North America and found in meadows and along the roadside. 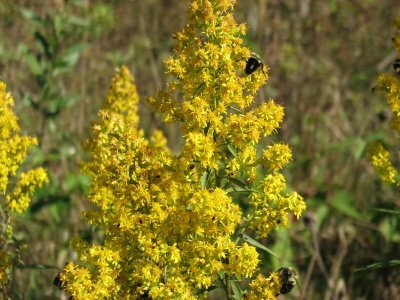 There are 20 different species of Goldenrod native to Nova Scotia. Goldenrod infusions can be used topically to treat eczema, skin irritations and arthritis. It is often used to treat inflammation and muscle spasms and is being used for restless leg syndrome. Goldenrod has been used to lower blood pressure naturally, as well as being used to flush water and toxins from the body and as an antimicrobial. Dry the older leaves and use as normal tea, or use fresh leaves and/or flowers. They makes a very flavourful tea. Some goldenrod is apparently anise-scented. I would imagine that would make an interesting brew. Can be kept dried and used all year round. If you like this post retweet it using the link at top right, or share it with any of the links below. I wasn't a tea drinker before (except for sweet tea, of course) but lately I've been using green tea for weight loss (I drink it at night instead of snacking) and now I'm definitely curious about trying all the other teas out there... I just don't know where to start! Recipe: Greek Shrimp Pasta Salad. Quick & Easy. Recipe: Oranges and cream and booze! Oh, my! Recipe: Yuck! You're going to eat that?!? Review: Gourmet, Gourmand. Who cares? Recipe: Cold Day? Hot Soup! Dogs: Responsible ownership is an absolute “must"